The Souderton Area School District (SASD) is situated midway between the cities of Allentown and Philadelphia. The Souderton Area with farmlands becoming home sites at a steady pace is considered suburban Philadelphia. To meet the needs of this growing community, SASD was facing a dilemma of over-crowding at its schools. To accommodate growth, the School District reviewed their options for the future. It was determined that a new high school was the answer. The School District hired Breslin Ridyard Fadero Architects to design the new 450,000 sq. ft. Souderton High School. 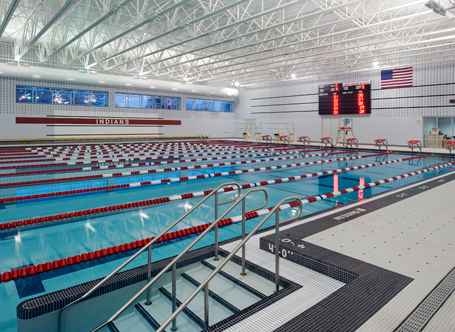 Included in the school is a state-of-the-art natatorium, which Counsilman-Hunsaker designed a unique configuration (depths range from 4′ to 12′), offering 25-yard lanes in both directions to accommodate the special needs of waterpolo, competition swimming/diving, training, and physical education.